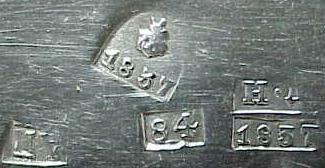 The Russian standard for silver was based on ' zolotnik '. 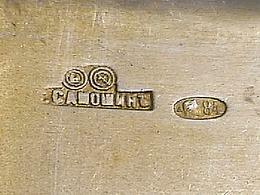 The name comes from 'zoloto' meaning gold. 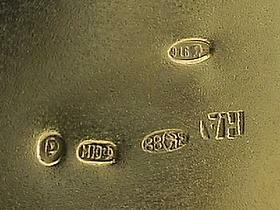 The unit originated as the weight of a gold coin of the same name which circulated as late as 11th century in Kievan Rus. 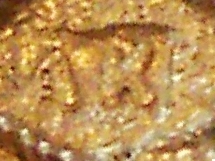 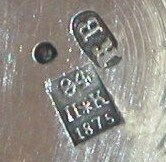 Originally, a zolotnik represented a 1/96 of a pound, later 1/72 of a pound. 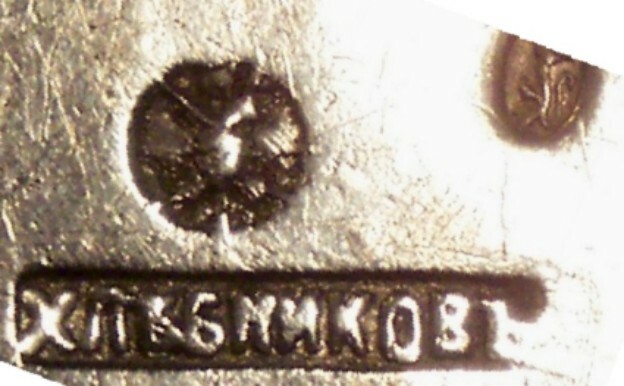 In the metric system, one zolotnik equals 4,266 grams, 96 zolotniks equal one Russian pound. 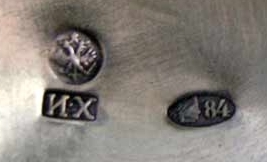 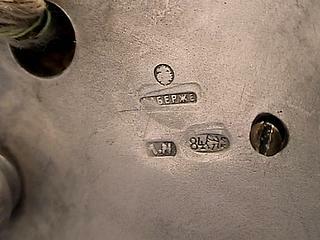 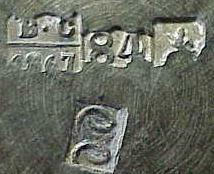 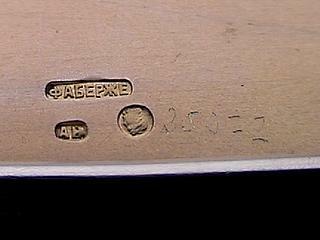 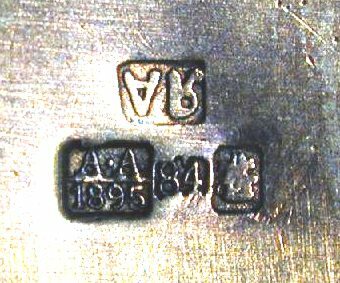 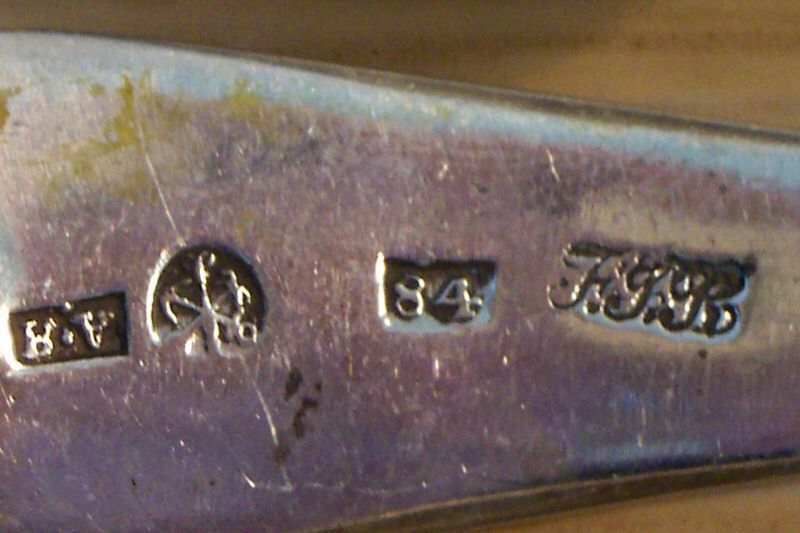 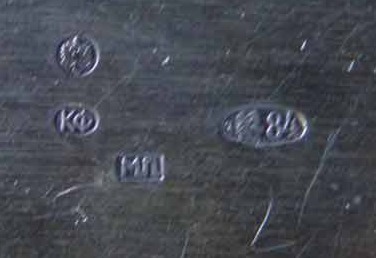 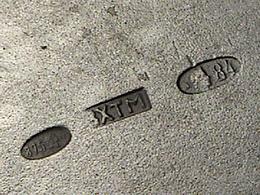 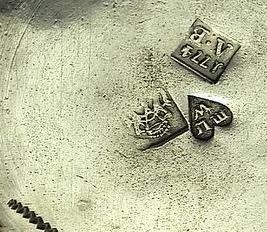 Most of silversmith's touch marks are in cyrillic alphabet. 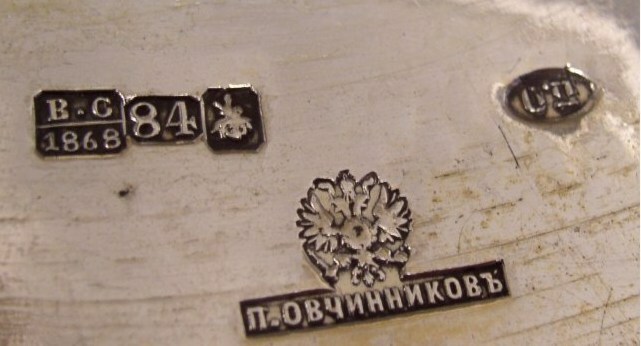 Here is the Russian cyrillic alphabet and the table of comparison with latin alphabet. 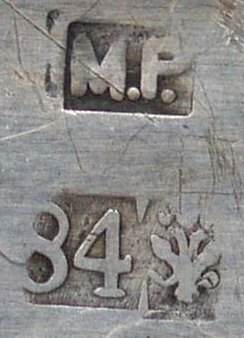 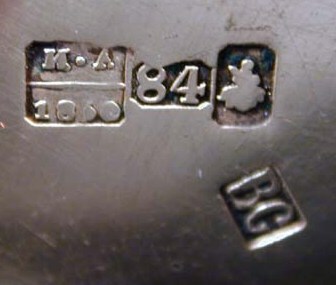 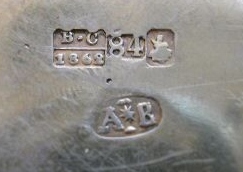 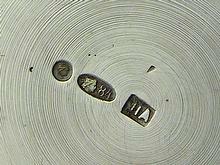 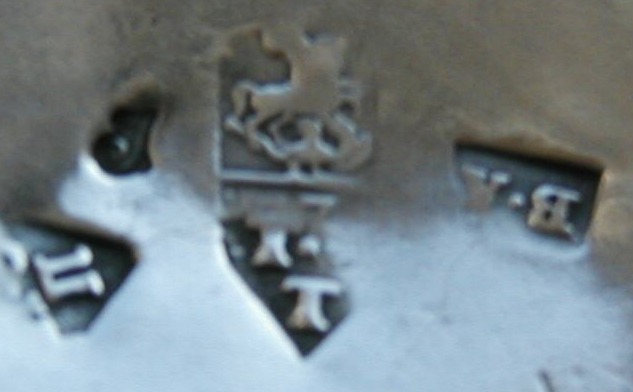 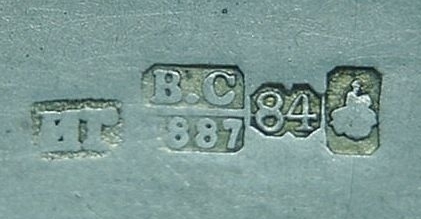 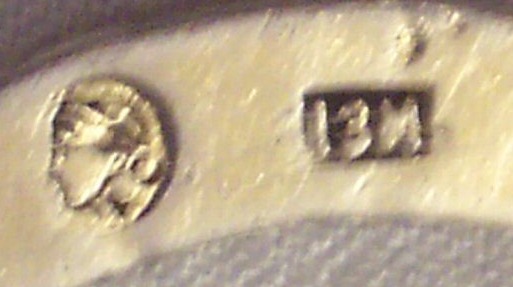 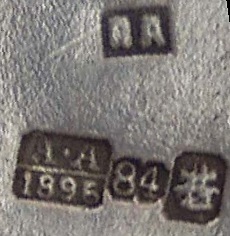 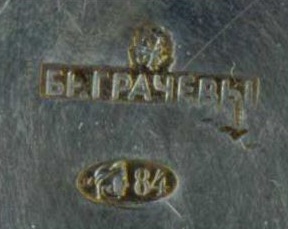 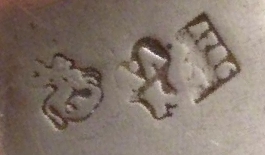 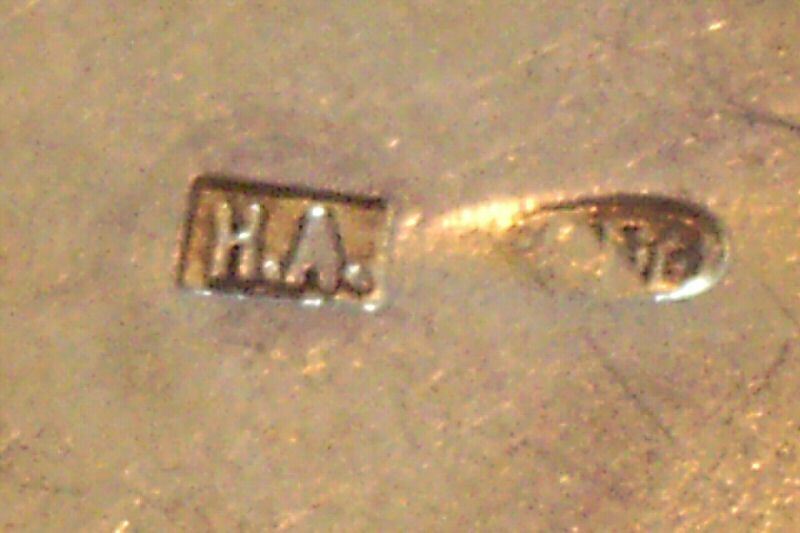 Russian silversmiths used a touch mark with the initial letters of first and last name in Cyrillic. 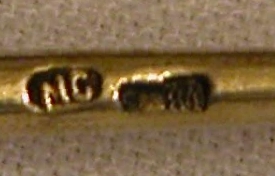 Seldom full name or latin letters were used.